At Hard Drive Recovery Associates, we understand that finding yourself with a failed hard drive is an excruciating situation. When you feel like it is possible that all of your important files may have disappeared, it can be an incredibly difficult situation to deal with. If you are like most of us, you’re hard drive contains so much important data that you simply cannot live without. I’m talking about business I like your emails, documents, or tax receipts; important sentimental items like family photos and videos. If there is a chance that these items are gone forever, it can be absolutely crushing. Your Files Are Still There, No Matter What. Strange clicking, by using, or grinding sound coming from your computer. No recognition of the hard drive during the startup process. Your drive does not seem to make any noise at all when you are starting out the machine. Your computers BIOS system does not recognize that the drive is connected. Powering down your machine is your number one priority when you have encountered something like buzzing or clicking sounds coming from your computer. Although a clicking or by buzzing hard drive may continue to function, the longer it is left to run, the more likely that the drive will actually damage itself and make your data completely unrecoverable. You should never open your hard drive using tools, no matter who tells you that this will be an effective way to recover the data. Hard drives operate under extremely precise conditions and contain extremely intricate parts. By opening up your hard drive, you put it at risk to outside environmental factors and may actually make the data unrecoverable even to the most qualified professional data recovery shops. Although is usually the first inclination of almost anyone who has experienced hard drive failure, is important to remember that you should not use any data recovery software product when you have experienced the symptoms above. If you have spoken to a professional data recovery engineer and he recommends that you use such a product, then by all means you should. But until you actually have a professional opinion on your data loss issue, you should not attempt to use software. It can often mean the difference between recovering your data, and losing it forever. If you follow the basic tenets of what we have noted above, you will guarantee the safety of your data. Customers that follow the above virtually guarantee themselves that 98% of the time, they will be able to recover all of their data at a much lower cost than they may have originally thought. One of the most important points that we should know about hard drive failures and crashes is that it is rare for one to be exactly the same as the next one. Different filesystems create different kinds of hard drive failure as an example, and a different symptoms may present themselves. Often symptoms that seem completely physical to the nonprofessional may actually be correctly diagnosed as a filesystem problem. The result is that you can save money easily by contacting the right data recovery service professional. So even if you think that you’re hard drive has mechanically fail, it may not have. It is always important to get the professional opinion of a data recovery service engineer in cases of data loss. So how do you effectively diagnose what is wrong with your hard drive? Give us a call. The call is always free and we never charge unless we actually recover your data in-house. Contact us here for a free hard drive diagnosis. 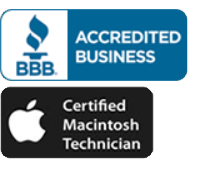 When taking a look at our competitors, ensure that they also offer the guarantee that Hard Drive Recovery Associates does: data recovery, where there is no charge.